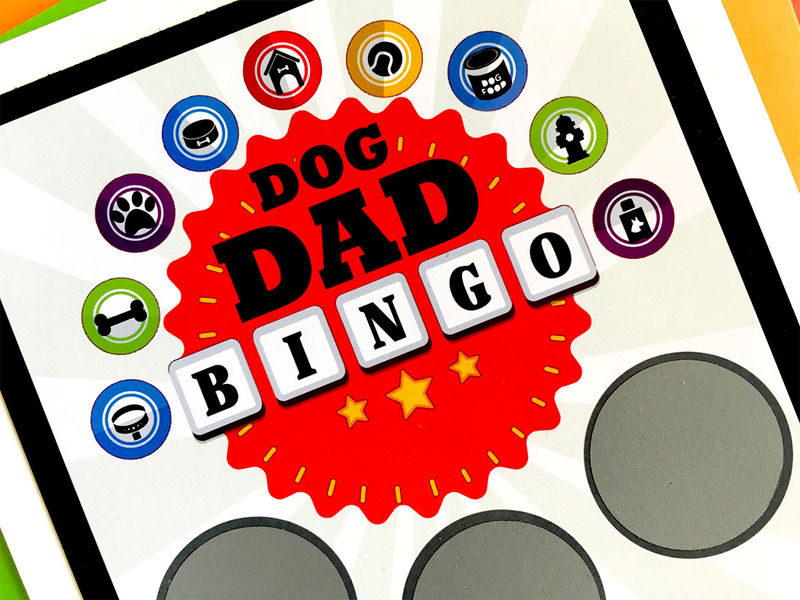 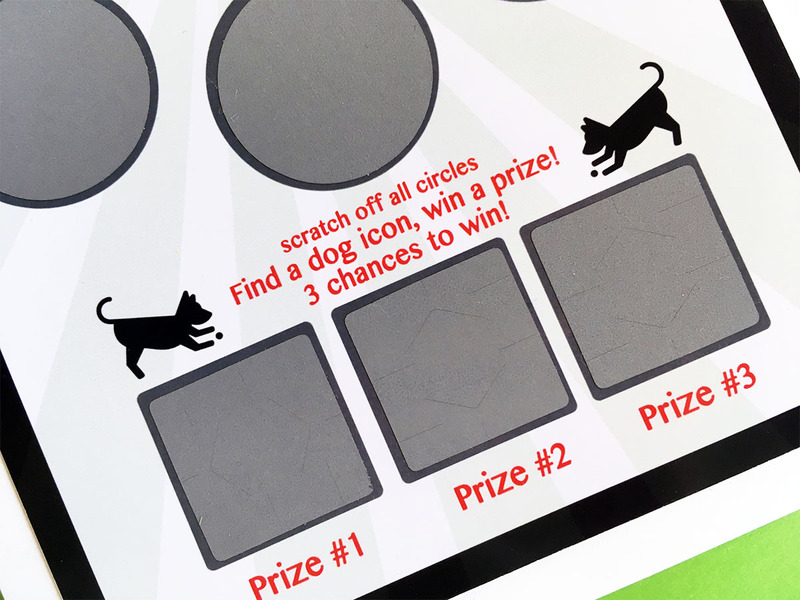 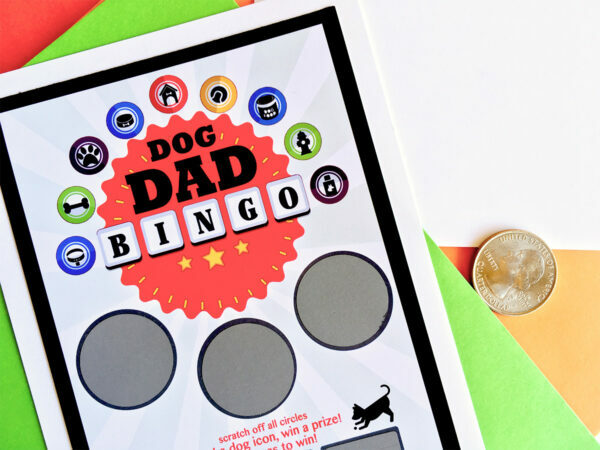 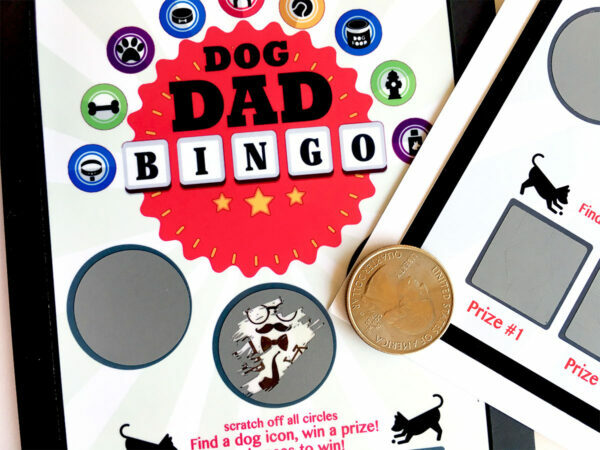 Scratch-Off Dog Dad Bingo Card. 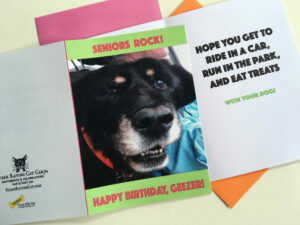 The card is blank on back, with just our Party Pet Cards logo, so you can add your own greeting or message. 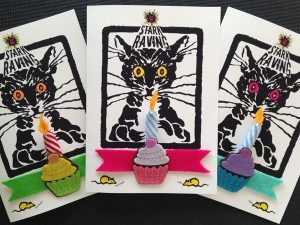 Note: This is a flat, 2-sided card and does not open up. 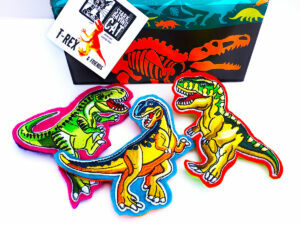 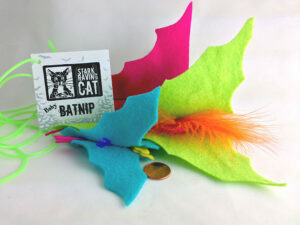 It comes with a bright, colorful envelope (colors vary). Bingo card image is printed on high-quality photo paper and layered onto cardstock, with scratch off labels affixed. 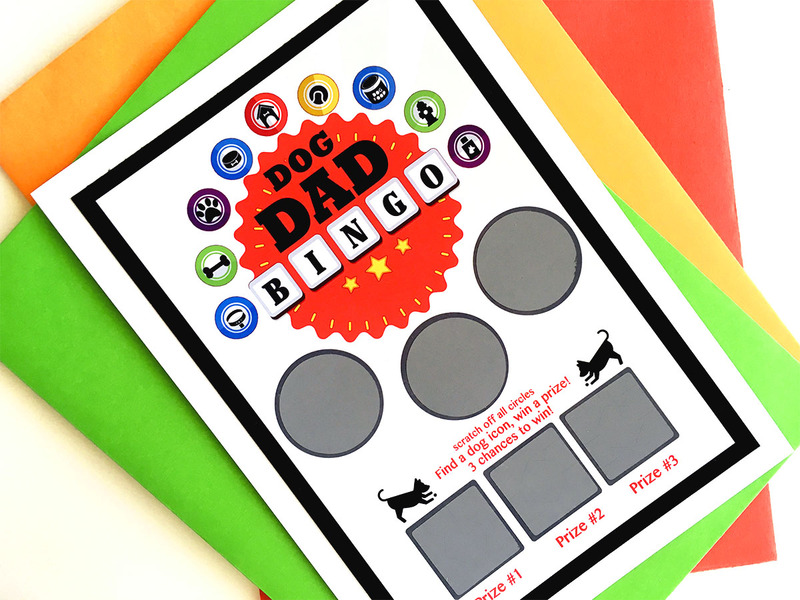 Ideal for Father’s Day (aka, Dog Dad Day), birthday, and just to give your dog dad a laugh. 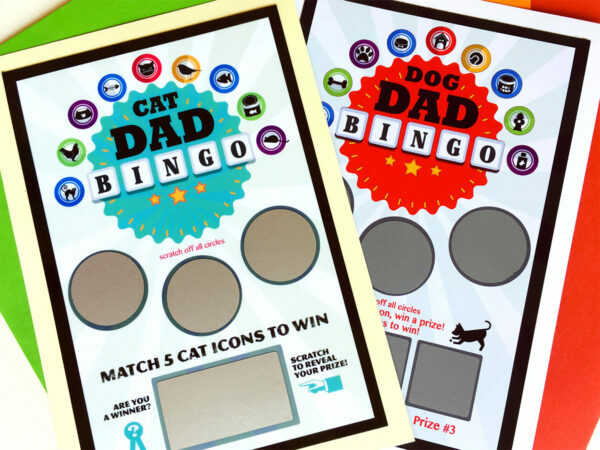 CAT DADS! 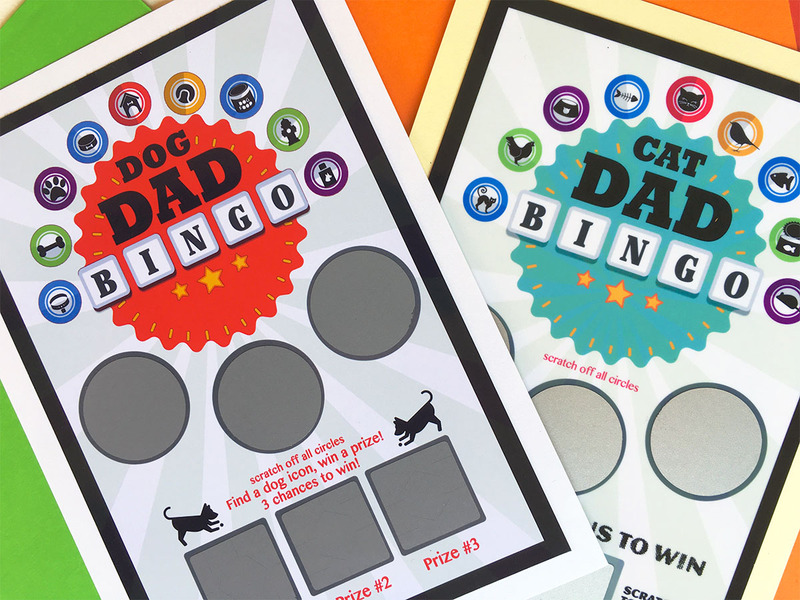 We also have a CAT Dad Bingo Card: Get both at a special price. Select both from the drop down menu when ordering. 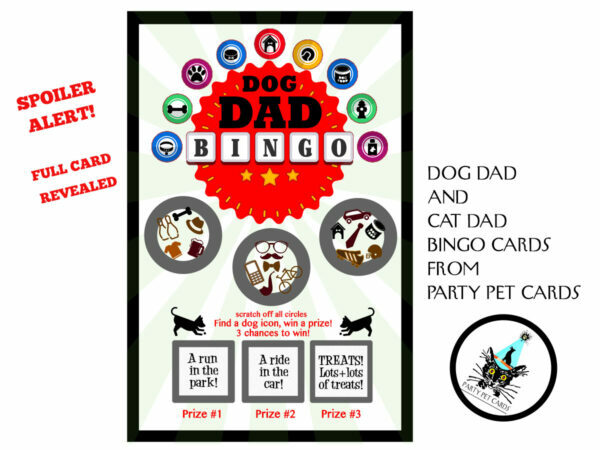 Extra fun for dads who cater to both cats and dogs. 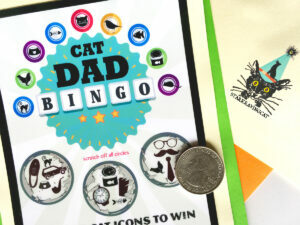 Visit the separate listing for our Cat Dad Scratch-Off Bingo Card for more details and photos.